Wind was first opened in 1994 by the Sisters of Social Service in a small space located next to Loaves and Fishes. 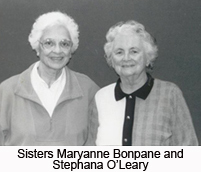 Sisters Maryanne Bonpane and Stephana O’Leary originally started the program as a daytime safe haven for homeless teenagers to seek refuge and receive survival services. As the awareness of the children’s needs grew, so did the services the Center provided. The Center broadened its focus to provide programs that would offer tools and resources to teens and help them develop the necessary skills to break the cycle of homelessness. In 2001, the Wind Youth Services Shelter opened its doors in Carmichael as a result of grants from the U.S. Department of Health & Human Services, Runaway and Homeless Youth Program and the United Way. In 2004, when the need for increased space was realized, the Shelter moved to a larger 12-bed facility in North Sacramento. In 2003, the Wind Education Program was developed and operated from a facility across the street from the Center. This program provides and on-site accredited junior high and high school program that is in collaboration with the Twin Rivers Unified School District Community Collaborative Charter Schools. The students attend school five days a week, twelve months a year, earning credits toward graduation and improving their academic and social skills. In 2007 the Wind Staff’s dream was realized when the Wind Youth Center opened and housed both the Day Center and Education programs under one roof, effectively removing the children from the adult homeless population. This dream became a reality through the hard work and dedication of the Board of Directors, staff, local businesses, foundations and individuals who generously raised over $700,000 for the Capital Campaign.